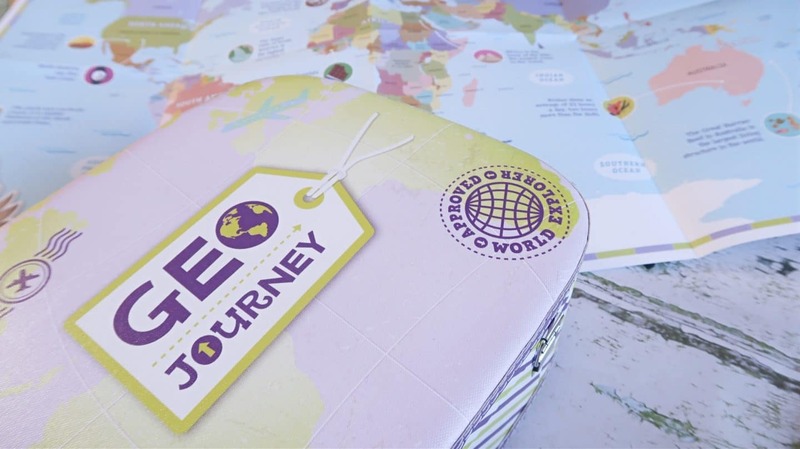 * AD – A Geo Journey subscription was gifted for the purpose of this post. My little blog turns 4 years old this month, I started when my youngest was just a year old and I love how it’s developed over time. 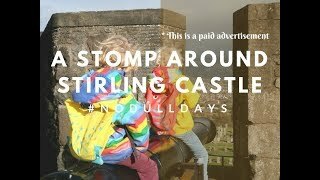 I’ve created a huge amount of informative posts about travel and home education that are viewed daily, plus it’s enabled me to build a fantastic business of my own. The only reason my little business has done so well is thanks to all my wonderful readers and followers. So thank you for following my blog and I hope you continue to enjoy reading. In celebration of 4 years blogging I have put together a series of competitions for my readers this month. Today I am giving away a 6 month Geo Journey Subscription box for one lucky winner. 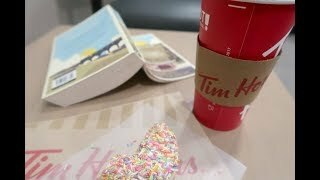 You can find my previous competition to win sticker books over here. 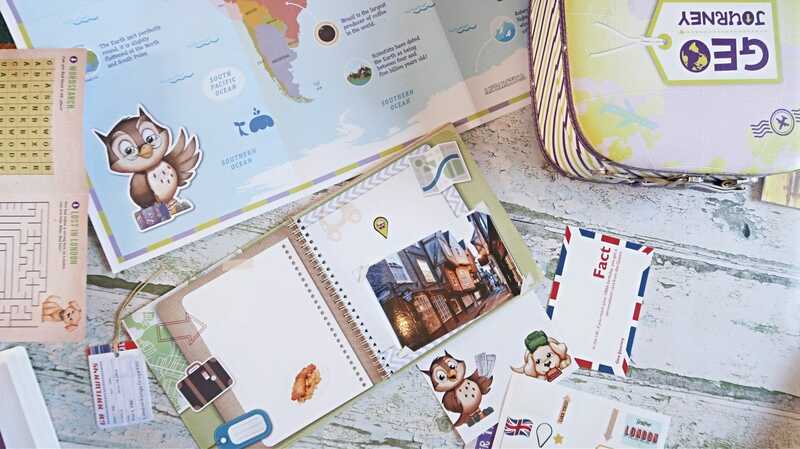 Geo Journey is named after the friendly owl Geo who is your guide around the world in this subscription box, along with his trusty side-kick Atlas the Labrador puppy. Your first month’s subscription arrives in a great quality case with padded lid and clip closure. 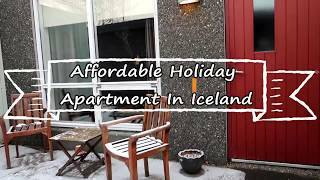 It’s hard wearing and will definitely withstand children’s play, opening and closing for a long time. a travel ticket on a string. The first location is the UK, which is clearly an easy one when you’re from here! You have various stickers to place in the travel journal including the country flag, national dish, places to visit and currency (although I would like to point out that this is wrong as it’s written ‘English pounds’ rather than British pounds or more accurately: pounds Sterling). There are photo corners to add the photograph of the location included in the box and space to write any information about the destination too. The passport has plenty of pages to place your country stamp in each month, plus space for your details and photo on the first page as per real passports. I can see the passport being used in imaginary play as well, packing their suitcases and off on a trip around the world, passport in hand. I would likely be the security person checking their passport details and making sure they had packed their suitcases themselves! 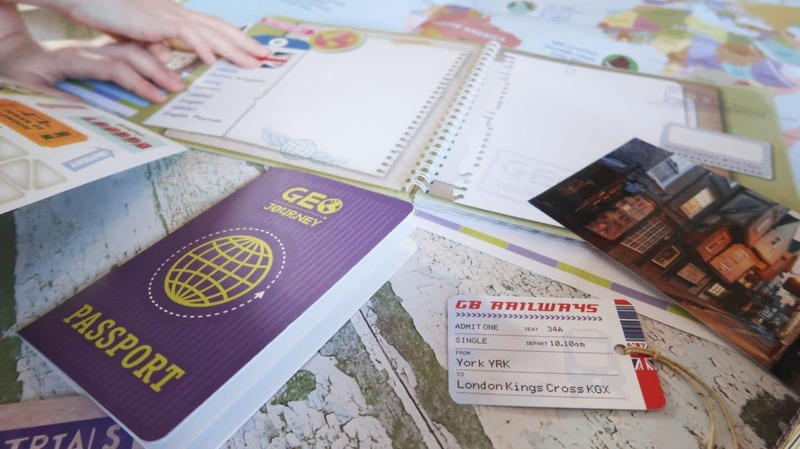 Each month you also receive a mini activity booklet themed to the destination. This month had a spot-the-difference, wordsearch, maze and crossword. The maze and spot the difference are easy for any age, but the wordsearch and crossword give a higher level of difficulty for older children. 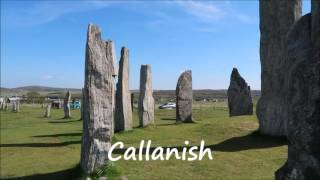 Each month you will receive a slightly smaller package that includes stickers, letter, activity booklet and exciting souvenirs such as mini clogs from Holland or a boomerang from Australia. Each month your child can fill in their passport with a new stamp and their travel journal with various stickers, facts and figures. Hopefully they will learn a bit more about each country and even learn some new words in other languages too. 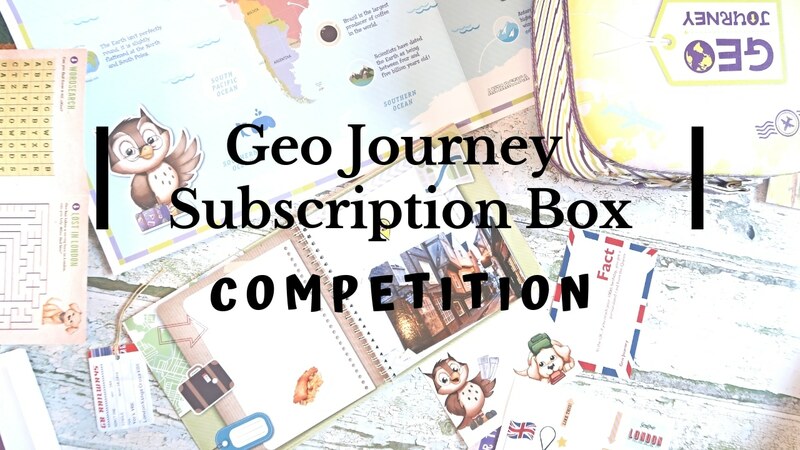 You can win your very own 6 month Geo Journey Subscription box with our latest competition. Simply fill in your details below.